Photographer Tony Richards' work is often featured on this weblog. Many visitors go to his daily page, but now if you miss a visit or two you can catch up by visiting his new rolling archive page, which features a pick of the best shots. 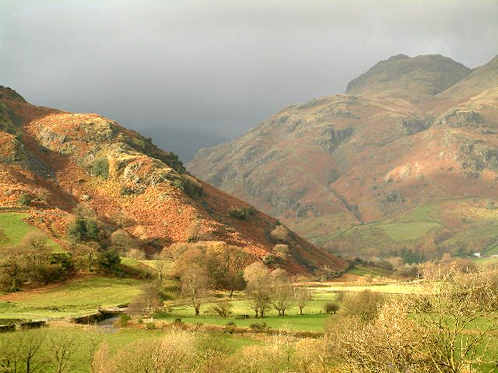 The shot featured is of Loft Crag, with the more famous peaks of the Langdale valley grouped moodily in the background. For your convenience I will be adding the weekly page to the pulldown sidebar menu along with the daily page link.